An award-winning, Michelin starred restaurant offering contemporary French cuisine with international influences in the heart of Downtown Los Angeles. Entering into Patina Restaurant introduces you to an evening of incomparable sophistication. Conveniently located inside The Walt Disney Concert Hall, our flagship restaurant showcases the highest culinary standards of Master Chef Joachim Splichal within an exclusive setting in Downtown Los Angeles. We offer seasonal tasting menus, artisanal cheeses, caviar service, and an award-winning wine list. With the leadership of Executive Chef Andreas Roller, our team focuses on creating a moment of culinary indulgence, from artistic plate presentation to rare wine selections. Our creative entrées and exceptional service showcase an unmatched level of hospitality. Serving as an ideal location for pre-performance dining, a special night, or to impress guests and clients, our contemporary French cuisine is truly the pinnacle of luxurious dining within Los Angeles. Patina Restaurant also offers wedding and event catering in downtown Los Angeles. 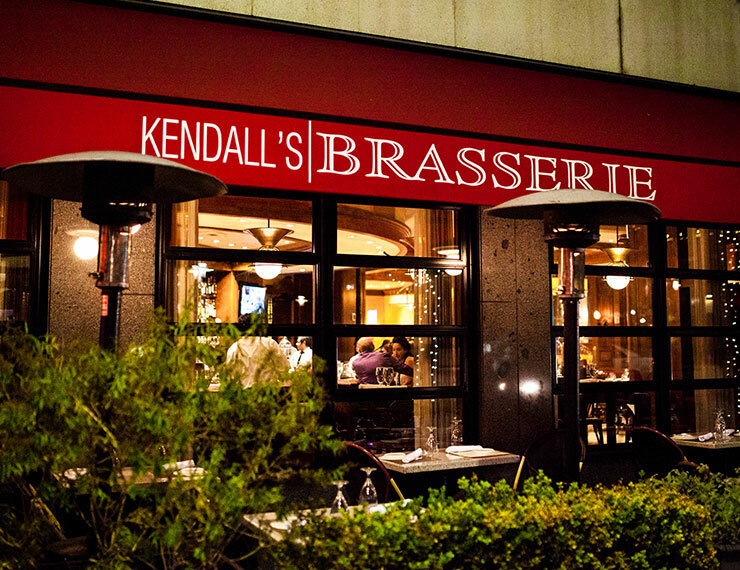 Kendall's Brasserie and Bar at The Los Angeles Music Center is a fine dining French restaurant featuring fine wines, cocktails & oyster bar in downtown LA.